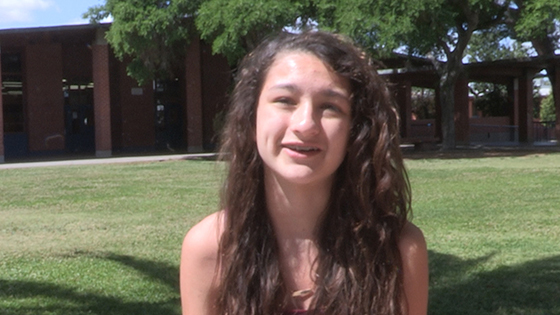 The second Sienna stepped foot on the campus at Palo Verde, she was excited to get into robotics. With a year under her belt, she is now a chairperson for the robotics team. She has also competed in swimming and soccer. Though engineering is her passion, Sienna would ultimately like to teach for her career. he is excited to be at Palo Verde because her sister, a Titan alumnus, earned a full scholarship to ASU. Sienna hopes she can earn one as well.